In collaboration with Tokyobike, Archipelago Books has opened a small bookstore in their Koenji shop from Apr 2015 to Jan 2017. 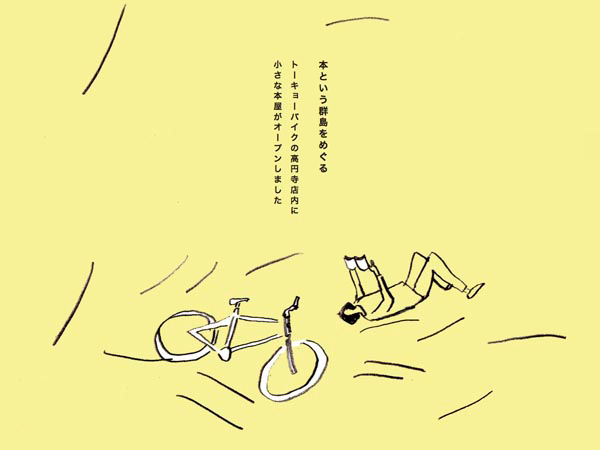 There were hundreds of books selected on various subjects to expand the world of Tokyobike, whose bikes are designed to be simply a way to enjoy a city like Tokyo, as much about the journey as the destination. In the Koenji shop, Coffee Tandem serves you good coffee and homemade deserts.